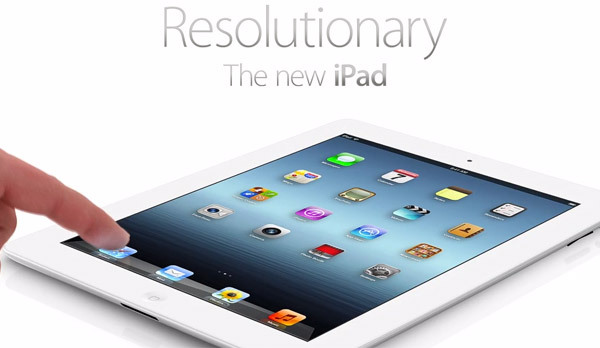 The new iPad from Apple has come out at top of the tablets list in the Consumer Reports. Apple's new iPad has been under lot of fire cause of the heating issues that it posses. The very popular group that reviews various range of products said on Monday that the heating issues on the new iPad were not a cause of concern. The new iPad is said to be having heating issues when used extensively. Various organizations and review groups have found the temperature going up whenever there was extensive use of graphics like while playing an action game. The new iPad was found to have more high temperature than the previous iPad under similar conditions. But all these things haven't affected the sales of the new iPad, more than 3 million units have already been sold which is quite a strong start. If we talk in general terms, new iPad has got good reviews all around. The retina display has impressed many and the latest 4G wireless technology makes it lovable piece of gadget to own. With the news coming that Airtel going to launch 4G services in India soon, iPad's 4G wireless technology can be used for optimum experience. Share your views about the new iPad in comments below!